Tom Perna picked me up from the airport last week when I came to speak twice at Franciscan University’s Defending the Faith Conference. Tom is a student there. Recently a Baptist knocked on his door and he had some conversations. Dearborn Michigan, USA — Twenty miles from my house: A young Arab Christian visits the Arab Cultural Fair and tries to ask a question at a Muslim booth. 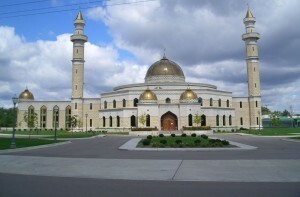 Dearborn has the highest concentration of Arabs and Muslims in the United States, though many of the Arabs are not Muslims. The video below gives some indication what Islam is really like and how things are if Islamic Sharia Law (here and here and here) is ever allowed. Sharia Law is one of the three most prominent forms of law in the world today. When Sharia Law is in full force in Islamic countries, non-Muslims have three choices: 1) convert, 2) become 2nd class citizens and pay a crippling tax, or 3) be executed. Of course the politically-correct media won’t tell you this. While the West is collapsing under moral apathy and politically-correct complancency, the world of Islam is rising! Christians in Muslim countries around the world know this all too well — as America sleeps. Here is a video of a young Arab man attempting to ask a question about Islam. 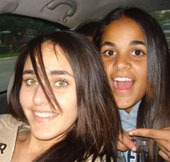 Why were these American girls killed by their Muslim family?